An incorporated village, Floral Park is situated within New York’s Nassau County, which is located on Long Island. 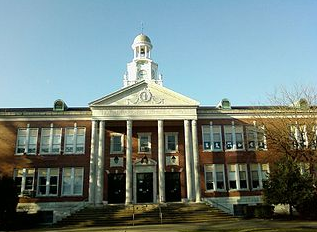 Most of the village is located within the Town of Hempstead; however, a small section does lie within the Town of North Hempstead. The area is mainly residential; however, there are several businesses that are located within Floral Park. As of the data released on the 2010 census, a total of 15,863 people called this village home. It can be assumed that the population has grown since the last census was taken. The population of Floral Park is very diverse. In regard to age, however, a large percentage of the people who live here are of driving age. Many of those who live in the area commute to and from Manhattan for work, as Floral Park is located within close proximity to this New York City borough. Those who do not work in Manhattan also commute. There is mass transit available; the Long Island Rail Road is the most commonly used mode of public transportation here. However, because the Long Island Rail Road is not always reliable and due to the rising cost of taking the train, many of the people who live in Floral Park prefer to use their own vehicles to get to wherever it is that they need to go. Due to the high volume of cars that are on the roadways that run through Floral Park, accidents do occur on a regular basis. Though most of the accidents that are reported are not severe, there are serious incidents that do occur. Regardless of the severity of the accident, it is important for drivers to protect themselves and others on the roadways by carrying the right type of auto insurance; it is also mandatory for drivers in any location within the State of New York to carry auto insurance. A minimum policy that offers 25/50/10 coverage is required in order to legally drive; that’s $25,000 for a single injury, $50,000 to cover multiple injuries, and $10,000 to cover property damage. How much can you expect to pay for auto insurance if you live in Floral Park? That depends on a variety of variables, including your age, how long you have been driving, and your driving record; however, on average, motorist pay around $2,000 for coverage a year. You can find the best price on car insurance by shopping around. Contact one of the reputable agents listed below or enter your zip code above to find the most affordable rates on car insurance in Floral Park.